Mystery Solved – Why Quasers are the brightest objects in the universe | Aliens and Us Are We Prepared Yet? 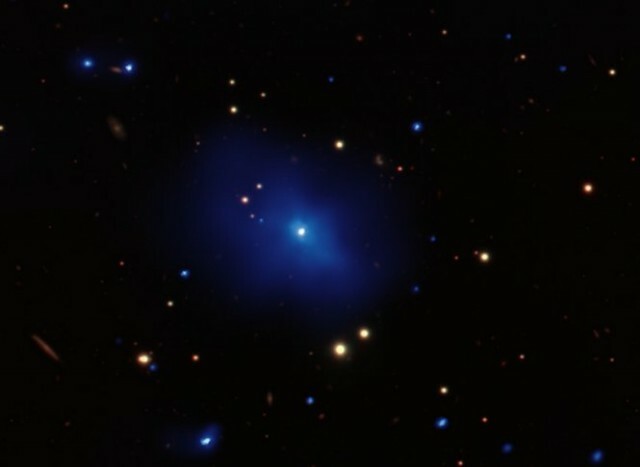 Scientists have solved a mystery behind the appearance of quasars — one of the brightest objects in the universe — that astronomers have been puzzling over for decades. Quasars are super—massive black holes that live at the centre of distant massive galaxies. They shine as the most luminous beacons in the sky across the entire electromagnetic spectrum by rapidly accreting matter into their gravitationally inescapable centres. New research from The Carnegie Institution for Science’s Hubble Fellow Yue Shen and Luis Ho of the Kavli Institute for Astronomy and Astrophysics (KIAA) at Peking University solves a quasar mystery that astronomers have been puzzling over for 20 years. Their work shows that most observed quasar phenomena can be unified with two simple quantities: one that describes how efficiently the hole is being fed, and the other that reflects the viewing orientation of the astronomer. Quasars display a broad range of outward appearances when viewed by astronomers, reflecting the diversity in the conditions of the regions close to their centres. But despite this variety, quasars have a surprising amount of regularity in their quantifiable physical properties, which follow well-defined trends (referred to as the “main sequence” of quasars) discovered more than 20 years ago. Shen and Ho solved a two-decade puzzle in quasar research: What unifies these properties into this main sequence? Using the largest and most-homogeneous sample to date of over 20,000 quasars from the Sloan Digital Sky Survey, combined with several novel statistical tests, Shen and Ho were able to demonstrate that one particular property related to the accretion of the hole, called the Eddington ratio, is the driving force behind the so-called main sequence. The Eddington ratio describes the efficiency of matter fuelling the black hole, the competition between the gravitational force pulling matter inward and the luminosity driving radiation outward. This push and pull between gravity and luminosity has long been suspected to be the primary driver behind the so-called main sequence, and their work at long last confirms this hypothesis. “Our findings have profound implications for quasar research. This simple unification scheme presents a pathway to better understand how super-massive black holes accrete matter and interplay with their environments,” Shen said. “And better black hole mass measurements will benefit a variety of applications in understanding the cosmic growth of super-massive black holes and their place in galaxy formation,” Ho added.